The other day, I was listening to a story on public radio about how to protect yourself from restaurant tip fraud. Their advice was simple: save your original restaurant receipt and make sure all amounts are filled in. It got me thinking about receipts in general. What do you do with all those pesky pieces of paper that clutter our wallets and briefcases? Why do we keep them at all? Here are some answers for managing your receipts. 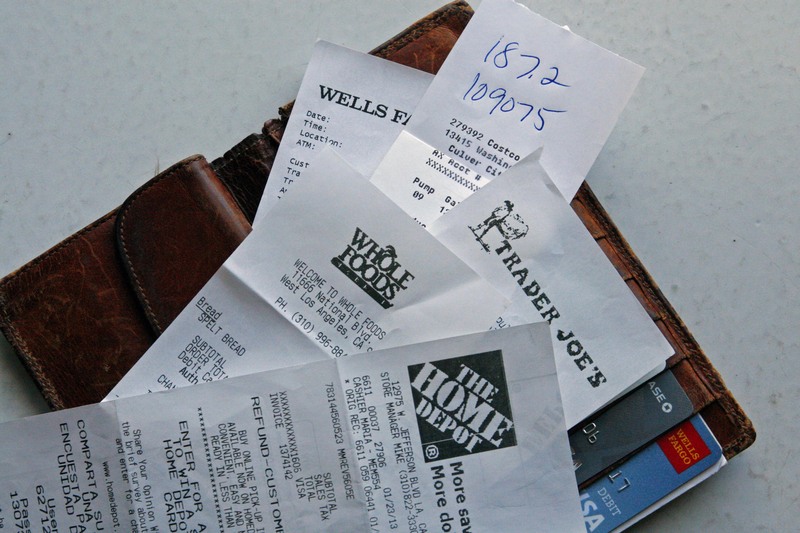 What do you do with all those scraps of paper we call receipts? 1. Taxes & Expense Reports. If you own a business and file itemized deductions on your taxes, you need to keep receipts of the expenses. Simply put, if you claim it on your taxes, keep the receipt. If you file expense reports for your job, obviously keep the receipts for reimbursable expenses. 2. Returns. Stores usually print their return window on their receipts. If you think you may return an item you’ve purchased, keep the receipt. When the return window expires, discard the receipt. 3. Major Purchases. Electronics and appliances usually come with a warranty. Keep the original receipt for those purchases for the duration of the warranty. If it’s a big ticket item like furniture or art, keep the receipts for replacement value in the event of loss. 4. Statements & Data Entry. I recommend keeping your credit card receipts to reconcile with your monthly statement. How many times do you find a mysterious charge you don’t remember? Keep ATM receipts to reconcile with your bank statement. Most ATM receipts have a scanned image of deposited checks. If you use home finance software like Quicken, keep your receipts until you categorize the entry. Where do you keep receipts? 5. Physical Storage. Designate a “holding area” for receipts you haven’t processed. Transfer them out of your wallet, pocket or purse frequently. Be consistent! To store receipts you need to keep, your system can be as simple as a few labelled envelopes, or as complex as a categorized accordian file. 6. Digital or Online Storage. You can also scan and store receipts digitally. Some scanners will “recognize” receipts and export data to software like Quicken, Quickbooks or TurboTax. Other scanners take an image of the receipt that you can save to your computer hard drive or upload to an online service like Shoeboxed.